What is the RTB Index? 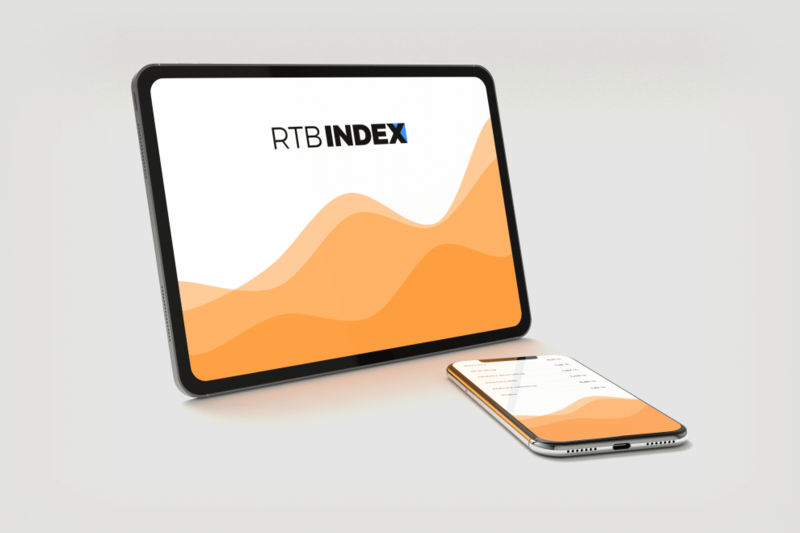 The RTB Index is a monthly report that monitors the pricing and performance of selected programmatic ad formats in the R2B2 Multiscreen network. The report includes online banner formats as well as video ads, native ads, and banners displayed on TV via the “red button”. The first half of 2018 went to Mobile Skins, as far as clickability is concerned. During this time, their CTR held strong above 2%. In July, they were replaced by a new addition to the RTB Index, Interscroller. However, this particularly large mobile format was only in the lead for one month before being replaced by video ads. Video ads include formats such as Pre-Roll, Outstream, and the new format Bumper. In the last two months of 2018, Mobile Skins again got the most clicks. Compared to 2017, Native Ads recorded the biggest leap in CTR, which in the first eight months improved by an average of 110% and in May three times as much. Banners 300×600, on the other hand, recorded the biggest drop. Their average CTR fell by two-thirds of the average rate in 2017, and with an annual average of 0.11%, it was the least-clicked-on format in the R2B2 Multiscreen network. The most stable format was the desktop format Takeover Skins, whose average CTR decreased by a mere 2 percent. Video ads had the highest cost per thousand impressions throughout the entire year, which averaged €5.73. Only in July did Takeover Skins get ahead. Otherwise, Takeover Skins was the second-most-expensive format for the entire year. This high-CPM duo was joined by the new format Interscroller with an average CPM of around €4.53. Banners 300×600 and Native Ads continued to be the least expensive formats with average prices below €2.00. Other than Takeover Skins and videos, all the formats included in the RTB Index were less expensive than in 2017. The price of Takeover Skins went up primarily in the second half of the year, which recorded an 18% growth in the CPM. The largest drop in price was recorded for Mobile Skins, whose annual average CPM was more than a quarter less than in 2017. This was primarily due to a reduction in the floor price halfway through 2017. So, Banners 300×600 had the biggest increase in CPC. In February, their price spiked to almost five times that of 2017. In the summer months, the year-on-year price of videos rose; in May it rose by 143%. At the end of 2018, Mobile Skins were also more expensive. However, the opposite was true of Native Ads, which in the first eight months were 55% cheaper. After this, the price fluctuated at the level of the previous year’s values. Even banner ads that appear on TV via the red button fall under the R2B2 Multiscreen digital ad network. RTB Index statistics include all programmatic HbbTV campaigns, even those that don’t offer the option to interact by clicking the red button. The average CTRs for ads on HbbTV are usually higher than those for Internet formats. However, in 2018 even TV banners declined significantly. To be more specific, the average CTR for January, June, and July slumped well below 1%. But for the remainder of the year, the average CTR fluctuated at around 1.5%, and in the last two months of the year, it even exceeded the 2% threshold. Compared to 2017 (note: as of May, when the TV banner was added to the RTB Index), the average clickability of TV banners fell by 20%. Even though TV banners reached a record cost of €24.31 per thousand impressions in May, the rest of the year the price barely changed. The average price for the entire year was just under €19.50. In October, the price even came close to €15.50. Compared to 2017, the average price for the period observed dropped by less than 1%.